Reassurance shield after the 16 split. 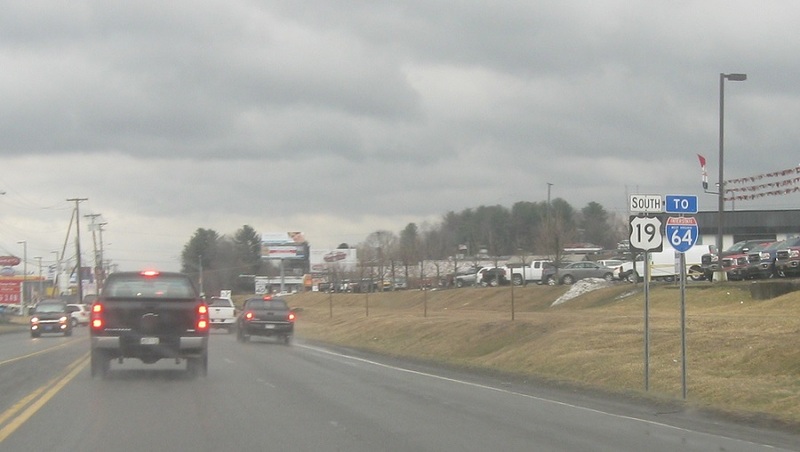 US-19 heads down to I-64. 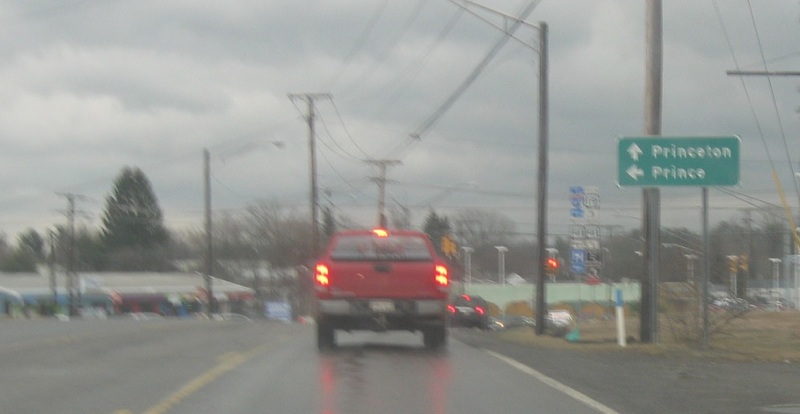 A few blocks later, we’ll approach Route 41. Follow 19/41 south to Princeton and 19 north to Prince. 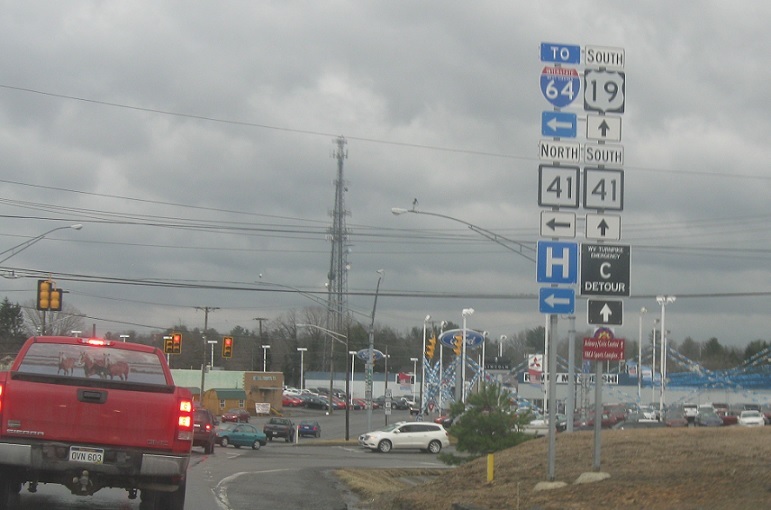 Turn left for 41 north to I-64, which seems counterintuitive but it connects to a locally maintained Beckley bypass road. Stay straight for 19/41 south, which run concurrent for a few blocks.